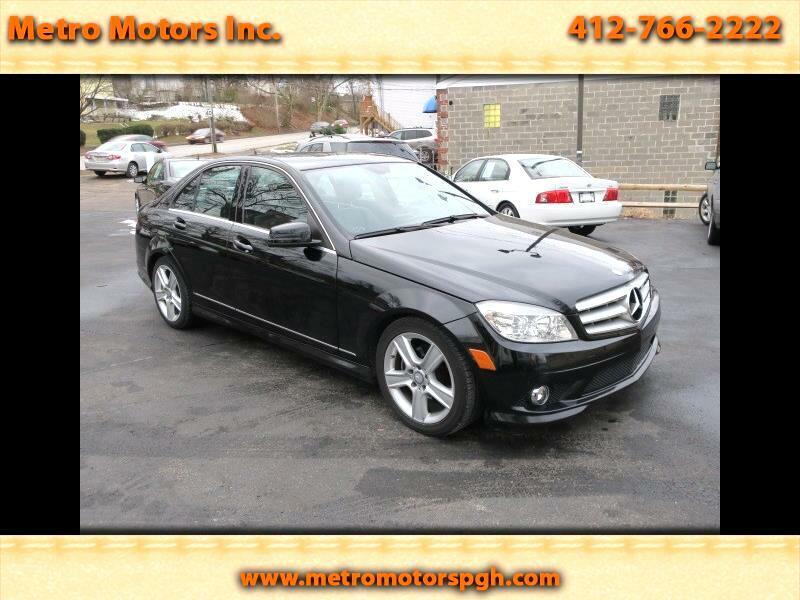 Used 2010 Mercedes-Benz C-Class C300 4MATIC Sport Sedan for Sale in Pittsburgh PA 15202 Metro Motors Inc.
Pristine 2010 Mercedes Benz C 300 4-Matic Sport Edition. This garage kept C 300 was just traded locally in on a new Mercedes Benz! This has all the Options! Finished in Raven Black, Black Leather Interior. Power, Heated leather Seats with Power Headrests, and Power Lumbar Support. Dual Zone Climate Controls. Mercedes Command Control System with Harmon Kardon Premium Sound with Satellite. CD Bluetooth, and NAVIGATION! Surround Aid Bag System. Power Glass Moon Roof. Leather Wrapped Steering Wheel with Tilt,Telescopic, and Control Buttons. 17 Inch Alloy Sport Wheels. Tinted Glass. All Original Books, Manuals. Auto Check History Report Shows No Major Accidents of Issues. Just Inspected, Smog Tested and Ready to Enjoy!